Supercars superstar Craig Lowndes bowed out of full-time competition at the end of a 2018 in which he claimed a seventh Bathurst victory. Lowndes announced his retirement mid-year, and the balance of the season through to the Newcastle finale was a celebration of his decorated career. He does not leave the scene – or Triple Eight – altogether, though, and will reunite with Jamie Whincup for the PIRTEK Enduro Cup. From Formula Ford and Formula Holden, Lowndes burst onto the touring car scene in 1994 with the Holden Racing team, doing enough on debut at Sandown as a late call-up to then also replace Swede Rickard Rydell for Bathurst. Lowndes became a household name in that Great Race, launching an audacious pass for the lead on John Bowe in the closing stages and eventually finishing second. He made his full-time debut in 1996, taking the clean sweep of the Supercars title followed by Sandown 500 and Bathurst 1000 victories with Greg Murphy. Pursuing his Formula 1 dream, Lowndes headed abroad in 1997 to contest International Formula 3000 but he returned home after a tough single campaign. Two more Supercars titles with HRT followed in 1998 and ’99, before he made the massive jump from the factory Holden team to Ford, with the revamped Gibson Motorsport in 2001. After a second season with the team, which became 00 Motorsport in 2002, Lowndes was on the move again to Ford Performance Racing. His only victory of three seasons plagued by unreliability came early, at Phillip Island in 2003. 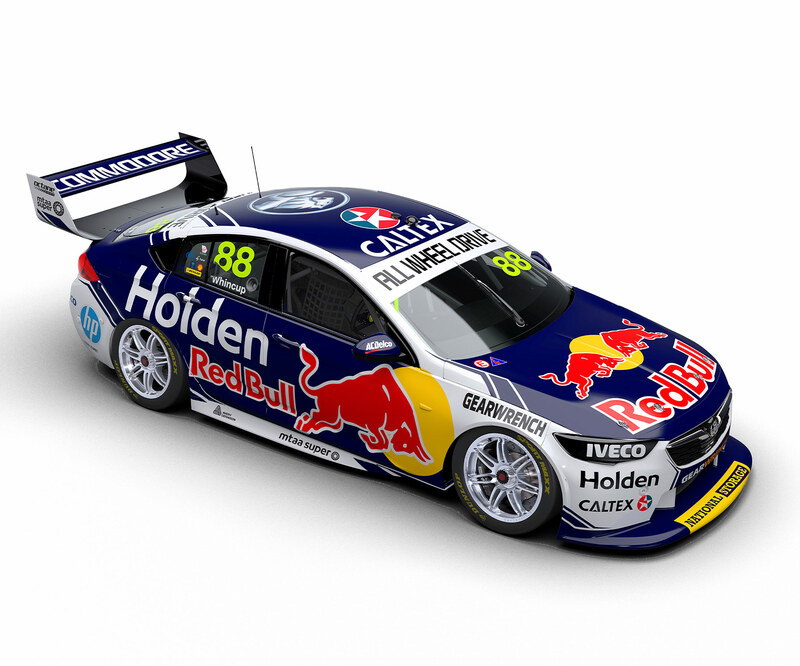 Lowndes joined Triple Eight in 2005 and never looked back. A fourth title proved elusive, finishing second in the championship sixth times including the controversial finish to 2006 against Rick Kelly. Bathurst was a happier hunting ground, including a hat-trick of victories alongside Whincup that started with the 2006 race immediately after the death of Lowndes’ mentor and close friend Peter Brock. Back in a Holden following Triple Eight’s brand switch, Lowndes conquered Mount Panorama again in 2010 with former HRT team-mate Mark Skaife, and in '15 and '18 with Steven Richards. That leaves his Great Race tally at seven victories and 14 podiums entering 2019. While Lowndes endured a winless 2017 season, he bounced back in what was his swansong, taking two wins, seven podiums and fourth in the championship. Triple Eight Race Engineering has set the standard in the Virgin Australia Supercars Championship for more than a decade.